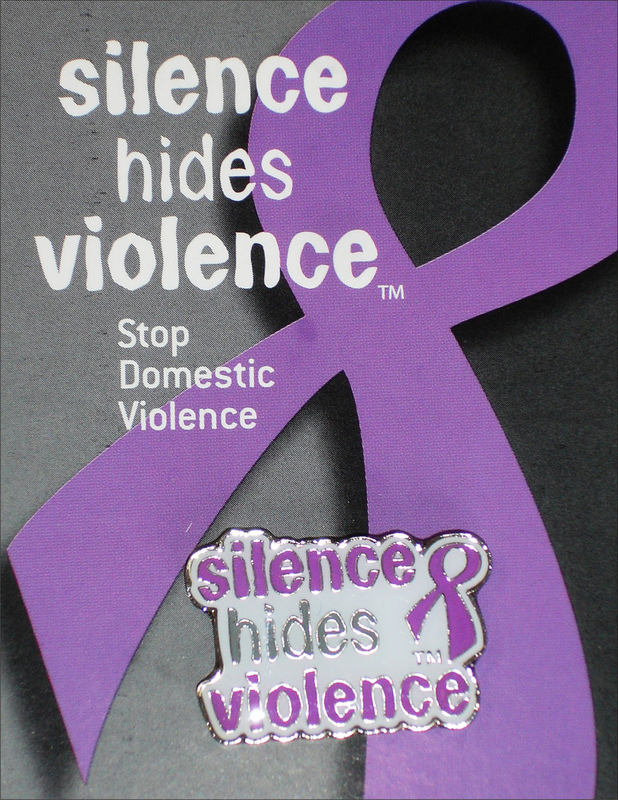 This post is shared in honor of National Domestic Violence Awareness Month. Photo by Flickr user heraldpost. I have a memory from two decades ago: I am curled up in a ball in the dark, protecting myself from the blows of my husband’s fists. I remember thinking to myself that if my life were spared I would go into the world and speak for those who have no voice, particularly women in abusive relationships. Soon after that horrible night, I left the city where I was living and moved across the county. I divorced, met and married a wonderful man, and became an activist to help protect women with violent partners. I was still clenched inside, however, waiting for the next blow. It came in the form of five major surgeries, including an emergency hysterectomy and a knee replacement. I wound up in a wheel chair for a few months. Depressed and angry, I had a heart to heart talk with my sister. To this day, I am unsure of which pain she was talking about. I went online and saw yoga classes listed for people with special conditions. I had been in a wheelchair for months and was still unsteady on my feet. I was invited to attend a session at Willow Street Yoga Center. That first night I lumbered into the class, barely moving. I went to a second class, and then a third. Long, long ago, before I was battered and before the medical problems, I had been pretty athletic. Somehow my muscles remembered. I began to stretch and grow. I started attending classes twice a week, and then added a third. I did an assisted handstand. For the past three years, and this year too, I have even been able to raise money for victims of domestic violence at a yoga benefit by doing 108 sun salutations in a row. I was delivering on the promise I made to myself all though years ago. I could help others. 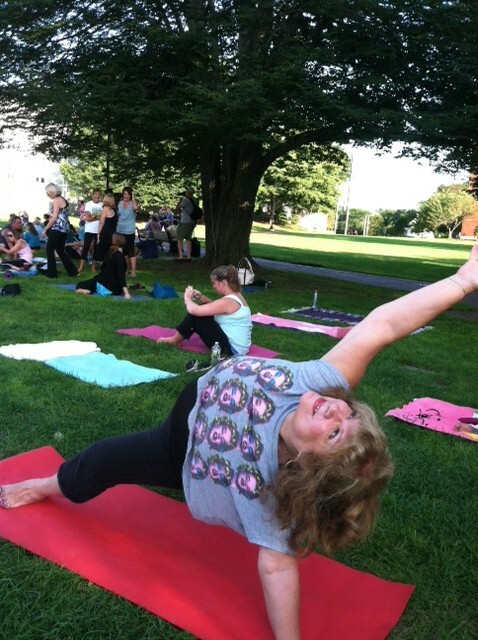 This past summer I was in Massachusetts for vacation and learned that a few yoga studios were joining together to do yoga in the park. I thought about the days of darkness, hiding my abuse. I thought about the deep despair after my surgeries, and then I thought about how far I have come. It was time to take what I had learned, move out of the darkness, and bend my body towards the sun, thankful for the life that is now mine. 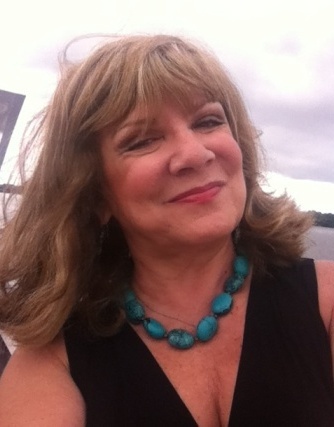 Cheryl Kravitz is a respected nationally for her work in community relations, motivational speaking, media relations and issues management. She is currently the Director of Communication for the American Red Cross in the National Capital Region. A survivor of domestic violence she speaks and writes frequently about the topic for local and national audiences. This entry was posted in Emotional Healing, Love / Relationships / Divorce, Physical Healing and tagged abuse, Cheryl Kravitz, domestic abuse, domestic violence, healing, inspiration, life, love, physical abuse, relationships, The Yoga Diaries, yoga by The Yoga Diaries. Bookmark the permalink.